If you were hesitant about allocating business budget towards implementing effective occupational health and safety training into your workplace, let those statistics highlight the importance of it. Unfortunately, due to the scarcity of resources or a lack of awareness, many business leaders do not think to invest in safety officer training, causing not only their staff to suffer, but their business too. This law expects every employer to provide a healthy and safe work environment for their employees. The easiest way to do this would be to train a team of staff to lead OHS initiatives within the organisation and ensure the organisation remains OHS compliant. Not only will an OHS-compliant workplace reduce the likelihood of your employees having to take sick leave or be in the hospital due to workplace accidents, but taking the time to show your interest in their safety is also a great way to build a loyal, engaged, and therefore productive staff. 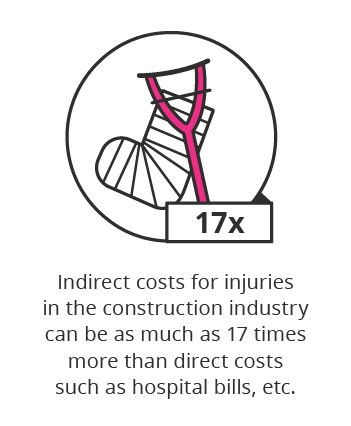 If you think health and safety training is expensive, then you wouldn’t want to know how much one workplace injury or fatality could cost your business. Indirect costs include loss of productivity, worker replacement, increased insurance premiums and attorney fees. Think about how much money you could be saving if you chose to invest in training your staff to be OHS compliant, and gained more out of it in the long run, rather than waiting for them to encounter workplace hazards and cost your business hundreds of thousands of rands in the future. Ready to use your business budget to fund occupational health and safety training?